Plus, he discusses his unconventional path to success and the secrets to the success of his 36-year marriage. 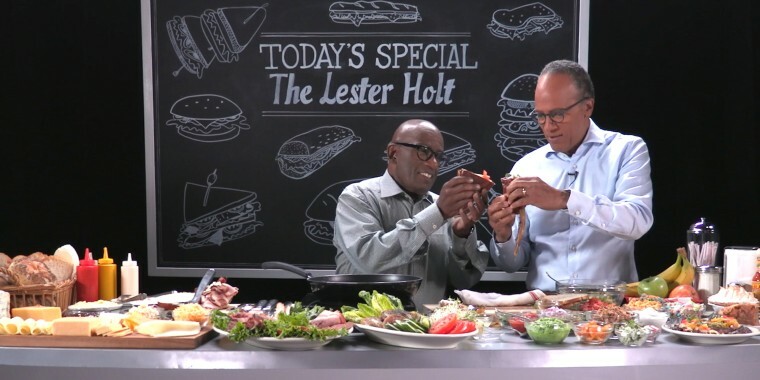 In the sixth installment of Al Roker's new, original series "COLD CUTS," Al welcomes longtime friend and colleague Lester Holt, the anchor of NBC Nightly News and Dateline NBC (don't watch alone, by the way), devoted husband and father, new grandfather (!) and the owner of what will probably go down in history as one of the smoothest speaking voices of all time. 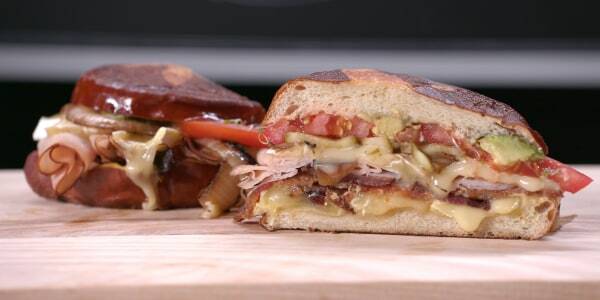 Lester makes a turkey, bacon and Brie (and we mean lots of Brie) sandwich on a pretzel bun topped with, like, every vegetable ever (for health! ), all while discussing his much talked-about interview with President Trump ("Did he just say what I think he said?! "), his unconventional path to success (he never finished college!) and the secrets to the success of his 36-year marriage. Al is piling on the meats and piling on the questions ... and masterfully toasting Lester's sandwich in a buttered pan! Try his sandwich for yourself — and make sure you have some pie for dessert! Lester would recommend his own cherry cobbler, preferably.